Home > 2017 > Campaign > BATTLE CHALLENGE CHRISTMAS 2017 starting today! BATTLE CHALLENGE CHRISTMAS 2017 starting today! 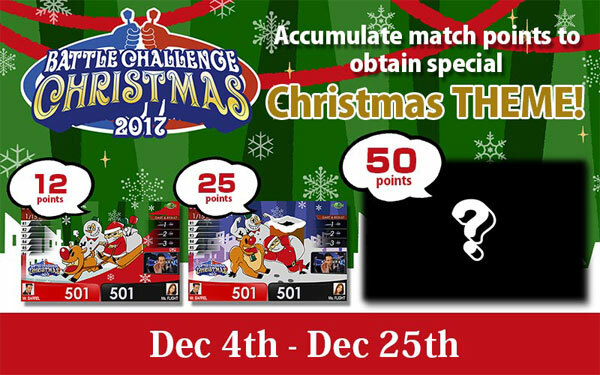 BATTLE CHALLENGE CHRISTMAS 2017 starts on Mon Dec 4! 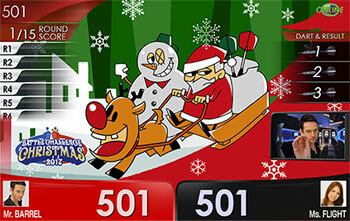 Win MEDLEY games and get Santa Themes that will power up! 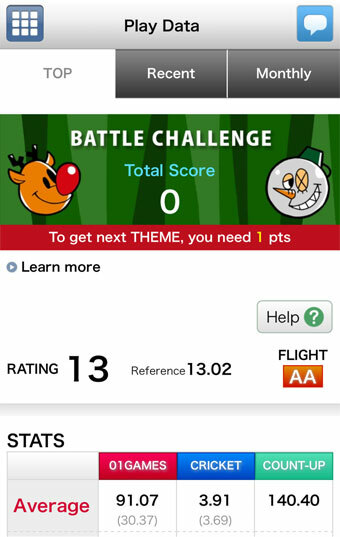 During the campaign period, you receive match points when you play MEDLEY games on DARTSLIVE2. 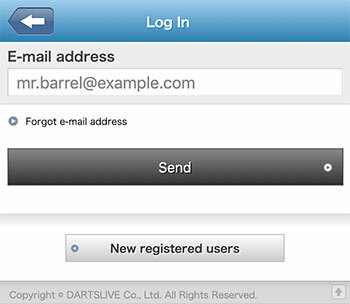 By accumulating 12, 25 and 50 points respectively, you will receive a limited edition DARTSLIVE THEME. 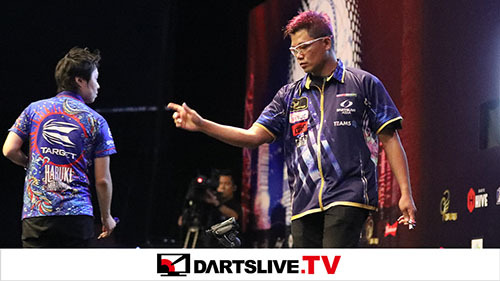 *DARTSLIVE Card is required to enter this campaign. 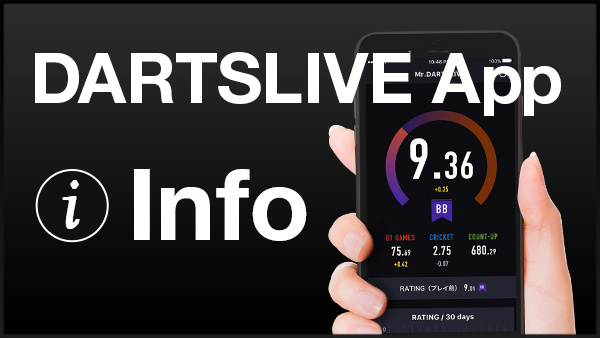 If your opponent is not using DARTSLIVE Card, you will NOT receive any campaign point. *Even you play with one player more than one time, you will receive the campaign points. 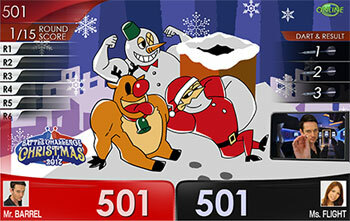 *In doubles matches, each player of a team will receive the campaign point. *If a match is not completed, the campaign points will NOT be awarded. A limited Picture THEME will be awarded when players accumulate 12 and 25 points respectively. Check your current points on Card Page!! Go to “Play Data” to view your match points. ･Campaign points will NOT be given when a player earns points by finger pressing. ･The campaign organizer reserves the right to remove or refuse any players who are found to be impediments to the campaign or campaign progress from participating in the campaign. ･If the organizer has determined that a campaign participant engaged in an unacceptable behavior, his or her all campaign points will be removed.